Mohammad Ali’s home town of Louis – vile will honor the former boxing champion on Friday with a procession through the Kentucky City and public funeral at a sports arena, a tribute befitting a local hero who achieved global stature as a humanitarian. 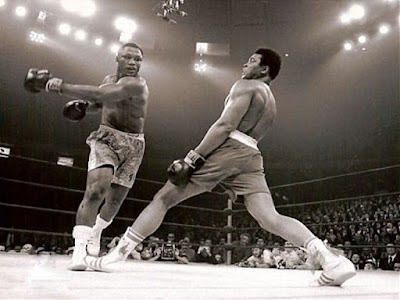 Ali, who died on Friday, was mourned in Kinshasa, the site of his famous “Rumble in the Jungle” defeat of rival George Foreman. The public service for Ali, one of the most celebrated figures of the 20th century whose death brought accolades from around the world, will feature eulogies by former president Bill Clinton, Broad caster Bryant Gumbel and comedian Billy Crystal, family spokesman Bob Gunneli said on Saturday. The body of the former prize fighter, who died in Arizona after suffering for decades from Parkinson’s syndrome, was expected to be returned within the next two days to Louisville, where flags were lowered at city hall in his honor. Friday’s events were expected to begin with a private prayer service for family members at Louisville funeral home. The procession will then proceed along the city’s main streets, including Muhammad Ali Boulevard, to Cave Hill Cemetery, passing locations that were significant to the former champion. The funeral service was scheduled for 2pm at the KFC Yum center, which seats more than 20,000 people, and would be live-streamed at the center’s website. Ali was admitted on Monday to a phoenix-area hospital and died Friday night of septic shock due to unspecified natural causes, Gunnel said. The end finally came for the greatest individual athlete in sports. Muhammad Ali, who combined sporting prowess with sweet talking breathe his last almost 30 years of battling outside the ring with Parkinson disease. This is beside the 21 years of a boxing career in which he had 56 wins in 61 fights and became the first boxer to capture the world heavyweight title on three separate occasions. That was in addition to his light heavyweight Olympic gold medal of 1960 and 31 straight wins before being beaten by Joe Frazier. Tributes have been flowing for him since Friday night. But the one that caught my attention most was that of Bob Gunnell, the family spokesman. "He was a citizen of the world and would want people from all walks of life to be able to attend his funeral." "To put him as a boxer is an injustice," said George Foreman, former rival, whom he beat in the famous "Rumble in the Jungle" episode of 1974 to regain his world title. Foreman tagged him the "greatest human he ever met". The legendary Brazilian footballer, pele, said the sporting universe had suffered huge loss. "Muhammad Ali shook up the world. 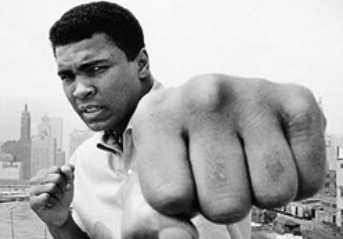 And the world is better for it,"
Ali was a campaigner for what he believed in. He was dispatched on a shuttle diplomacy mission to Africa by president Jimmy Carter to gather support for Moscow Olympic boycott over Soviet Union inversion of Afghanistan. "full of religious and political convictions that led him to make tough choices and live with the consequences". I join the world in celebrating the life of the greatest individual athlete, Muhammad Ali. He was a man who never sold out his people.